Thursday, 4 April, 2019, at 7 p.m.
As a university student in the 1920s and 1930s Gunnar Jarring prepared himself for an academic career in philology. After training in Sanskrit and Slavic languages he transferred to Turkic languages for graduate studies. His linguistic skills made him attractive to the Swedish intelligence and security services, where it was soon discovered that this young man would as well make an excellent diplomat. He served as Swedish envoy in New Delhi, 1948-1951, before the first Swedish ambassador to the new Indian state was appointed. As full ambassador he played a prominent role in the United Nations for decades and became an international celebrity as mediator in some of the world’s most serious and difficult interstate conflicts, such as the Kashmir dispute between India and Pakistan in 1957 and the Middle East crisis after the Six-Day War in 1967. Despite his at times challenging and perhaps also exhausting diplomatic missions for the UN and the Swedish Foreign Ministry, Jarring never left his research material but went on extracting a corpus of lexemes from his narratives for an Eastern Turki – English Dialect Dictionary, which is not only a linguistic treasure for the study of Uyghur language development. To Gunnar Jarring, the study of language meant a study of people and culture. A long editing process is about to end. In 1964, at the height of his diplomatic career, the Swedish Ambassador Gunnar Jarring (1907-2002), who was as much known to Turkologists for his works in Uyghur Studies, published his by now classical Eastern Turki–English Dialect Dictionary. His corpus was almost exclusively elicited from his own recordings of oral Eastern Turki (i.e. non-standardized modern Uyghur) folk literature, published in his Materials to the Knowledge of Eastern Turki. Tales, Poetry, Proverbs, Riddles, Ethnological and Historical Texts from the Southern Parts of Eastern Turkestan with Translation and Notes, Parts I – IV, Lund 1946-1951. In fact, Ambassador Jarring never left this project. For the rest of his life, he continued to work for a revised and substantially enlarged version of his dictionary drawing from not only his own published and unpublished materials but also an enormous number of, if not all, other sources that could possibly contain Eastern Turki words and phrases – besides treatises in Turkic philology, travel accounts and, not least, printed matters and notebooks from Swedish missionaries living and working in Eastern Turkestan from the last decade of the 1800s till 1938. 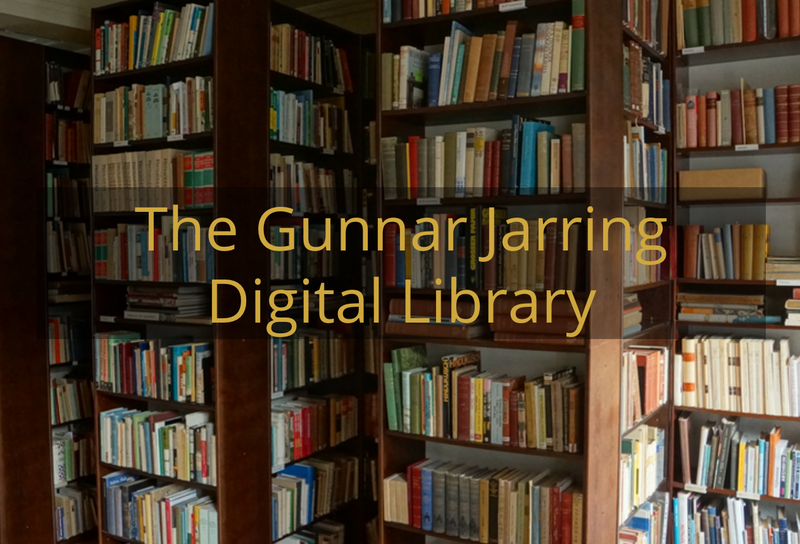 Some of these sources have been digitized and are accessible online from the Gunnar Jarring Digital Library, www.jarringcollection.se. Ambassador Jarring finished his compilation and had his handwritten manuscript typed before he died. He also took an active part in the preparations for the transfer of the files and printouts to my research team in Central Asian Studies at Stockholm University for the final editing and publishing of the manuscript. More than half of the new sources not present in the first 1964 edition of the dictionary were not fully specified in Jarring’s manuscript, at times just notified by an abridged title, an acronym or the like. For the editing of the manuscript, it was part of my job to identify and search for these sources, most of which have been found in The Gunnar Jarring Central Eurasia Collection at the Swedish Research Institute in Istanbul and in the Jarring Collection at Lund University. The author presents a report of a journey from Kabul to Kashgar. The traveler was not Montgomerie himself but a Turkic-Persian immigrant to India. 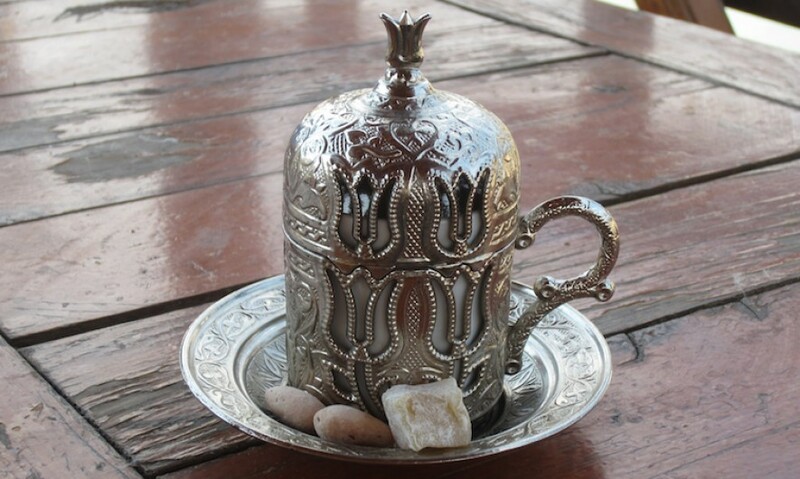 The “Mirza”, as this local silversmith was called, had been employed previously by the British and trained as an “explorer”. By the end of 1867 he was sent out on this new mission to Kashgar. The “atalik” mentioned in this quotation was Yaqub Beg – the ruler of Eastern Turkestan from 1866 to 1877. Yaqub Beg was a strict and demanding leader, who put Islamic law into force and who did not allow women to be unveiled outdoors. Before we arrive at burka in this dictionary, we find the word burgut, ‘the golden eagle’ (Aquila chryseatus) with reference to a frequently quoted source, A Sketch of the Turki Language as spoken in Eastern Turkistan (Kashghar and Yarkand), Part 2, The Vocabulary, published in 1880 by Robert Barkley Shaw, presented as “Political Agent, late on special duty at Kashghar, Gold Medallist, Royal Geographical Society”. The political agent Shaw apparently took a special interest in birds and plants, listing them in a special section of his vocabulary. At one of these places I was shown a newly-caught black eagle of the sort called ‘Birkoot,’ which are trained to catch antelope and deer as falcons do birds. The unfortunate creature was hooded, and wrapped up, wings, talons and all, in a sheep-skin and this bundle was suspended (head downwards) from the man’s saddle during the march. They consider this treatment has a tendency to tame the bird! The passage ends with a note about Marco Polo (13th c.) having observed similar eagles at the court of the Chinese Emperor. An eagle trained for hunting in present-day Kyrgyzstan. The photo is from an article by Serkan Ocak in the Turkish daily Hürriyet, 7 April, 2018, “Tanrı Dağı’nın son efendileri… Tarihimizin başladığı yer” [The last masters of God’s Mountain … The place where our history begins]. In contemporary Ukrainian (via Russian), Turkic bürküt ~ burgut ~ birgut, etc. has become “berkut”, which appeared in the international news media a few years ago as the name of a special police force in action and finally dissolved during the 2014 crises between Russia and Ukraine. Schlyter, Birgit N., ”From the Private Library of Gunnar Jarring and His New Eastern Turki Dictionary”, in Bellér-Hann, Ildiko, Birgit N. Schlyter, and Jun Sugawara (eds), Kashgar Revisited: Uyghur Studies in Memory of Ambassador Gunnar Jarring, Leiden/Boston 2017, pp. 13-33. Schlyter, Birgit, Utsiktsplats Istanbul: Berättelser från turkfolkens värld [Viewpoint Istanbul: Accounts from the Turkic world], Stockholm 2015, pp. 183-198 and 300-313. The volume In the Aftermath of Gezi: From Social Movement to Social Change?, with contributors from a multidisciplinary array of anthropologists, political scientists and historians, was launched at a seminar on 8 December, 2017, at the Atatürk Institute for Modern Turkish History, Boğaziçi University. The book was introduced by the former director of the Swedish Research Institute at Istanbul, Professor Birgit Schlyter, under whose auspices a workshop had been organized on this topic in May, 2015. In the midst of a cadre of academics, activists and students, Dipak Malik, professor emeritus of Banaras Hindu University, Varanasi, India and currently affiliated with the Stockholm-Istanbul Program for Central Asian and Turkic Studies, made the initial comments on the volume. He discerned four perspectives that the articles deal with: (1) Gezi and its historical trappings, (2) the city as a site of political and civic manifestation, (3) the overbearing state and its interventions, and (4) the role of social media and cyber connectivity. The first portion discusses the historical antecedents – Gezi as a product of basic contradictions between environmentalists, modernists and minorities versus state intervention. It dwells on the lingering Kurdish question, white versus black Turk polarization, the moment as a goal-oriented activity or transformative agency of consciousness. The editors Oscar Hemer and Hans-Åke Persson as well as Asu Aksoy and Ayhan Kaya contribute to the discourse. The city as a site of political and civic manifestation along with the right to city space is dealt with by Spyros Sofos and a few others discussing issues such as encroachment by the private sector permitted under the neo-liberal economic initiatives of the municipal park and other public spaces and commons, environmental concerns, demolition of settlements of minority and queer communities, and direct intervention of the state without wide public consultations. The state comes under heavy scrutiny of almost all the papers except for two contributions (Hikmet Kırık and Anita Sengupta), where the authors instead explain the evolution of the AKP concurring that the new polity should be seen differently than the cacophony of voices in Gezi. The instrumentality of the movement was a novelty in the form of social media-led connectivity. Surprisingly, it was spontaneous, leaderless and egalitarian. Gezi was a movement by tweets, whereas televised versions and the print media had a subdued role. In addition to the book launch, Professor Asım Karaömerlioğlu, Director of the Atatürk Institute for Modern Turkish History, gave a talk calling Gezi a new moment of the millennial generation of Turkey with echos on the global scale. He argued that Gezi had been essentially a feminist upsurge comparing it to the 1968 student revolts in Europe and USA, which had been patriarchal in nature. The seminar concluded in a lively discussion and insightful comments from the audience. Dr Miriya Malik, Academic Director of Centre for the Study of Indian Languages and Society (INLANSO), Varanasi; Part-time fixed term lecturer of Hindi at Uppsala University, Sweden. Dr Dipak Malik, Professor emeritus of Banaras Hindu University, Varanasi, as well as Director emeritus of Gandhian Institute of Studies, Varanasi; currently associated with Centre for the Study of Indian Languages and Society (INLANSO), Varanasi. Welcome to a joint seminar organized by SIPCATS/SRII and the Atatürk Institute for Modern Turkish History at Boğaziçi University. In the Aftermath of Gezi: From Social Movement to Social Change? Welcome to a SIPCATS book launch with the editor, Professor Selçuk Esenbel, Boğaziçi University. This book provides for the first time the historical background indispensable for understanding Japan’s current perspectives and policies in the vast area of Eurasia across the Middle East and Central Asia. Japanese diplomats, military officers, archaeologists, and linguists traversed the Silk Road, involving Japan in the Great Game and exploring ancient civilizations. The book exposes the entanglements of pre-war Japanese Pan-Asianism with Pan-Islamism, Turkic nationalism and Mongolian independence as a global history of imperialism. Japanese connections to Ottoman Turkey, India, Egypt, Iran, Afghanistan, and China at the same time reveal a discrete global narrative of cosmopolitanism and transnationality. Politics is founded on language as a tool of narration, persuasion, and mobilization. In the present-day world, new techniques enable great differentiation of communication strategies and channels of mediation, one effect of which is greater rapidity and autonomy in the distribution of messages making it more difficult for authorities to control and monopolize the flow of information. Mass mobilization has become easier with the introduction of Facebook, Twitter, and other social media. Given this new order of things, there are a number of questions to be considered, such as: How is this rapid flow of information received and assessed by the individual? How is journalism affected by the development of new communication strategies? What are the merits of this new order besides its capacity of mass mobilization? What is the depth and rhetoric force of rapidly communicated messages? In May 2015, a workshop focusing on these questions was organized by the Stockholm-Istanbul Program for Central Asian and Turkic Studies, SIPCATS, in cooperation with Nordic partner institutions: Ørecomm – Centre for Communication and Glocal Change, Roskilde University, and Malmö University. More specifically, our aim was to analyze the 2013 Gezi events in Turkey from the point of view of communication and media’s part in social mobilization. The papers presented at the workshop were later updated and edited for an anthology titled “In the Aftermath of Gezi: From Social Movement to Social Change”, now published by Palgrave. The Swedish annual Gunnar Jarring Lecture was inaugurated in 1997 on the occasion of Ambassador Jarring’s 90th anniversary in honor of his contributions to Turkology and the establishment of a Swedish Research Institute in Istanbul (SRII). For the first 15 years, Stockholm was the site of this recurring event. In 2012, Jarring’s importance for the SRII research environment was accentuated, as a huge book collection originating from the Ambassador’s private library – at present partly accessible worldwide through The Digital Gunnar Jarring Library (www.jarringcollection.se) – was donated to the Institute by the Royal Swedish Academy of Letters, History and Antiquities. As a natural consequence of this development it was decided at an SRII board meeting in 2013 that henceforth the annual Jarring Lectures were to alternate between Sweden and Istanbul. The very first Jarring Lecture at SRII/Istanbul was delivered on 14 October, 2014, by Dr Susan Whitfield, the founder and the then head of the International Dunhuang Project (IDP), an impressive enterprise for the digitization of finds from early 20th-century archaeological explorations in Chinese Central Asia. In her speech, Dr Whitfield showed how international collaboration under the auspices of the IDP (http://idp.bl.uk) has enabled dispersed collections to be reunited online and placed within their original archaeological context. This year, on 12 October – late Gunnar Jarring’s 110th birthday – scholars and students at SRII/Istanbul had the privilege to listen to the 2017 Gunnar Jarring Lecture delivered by Professor Mehmet Ölmez, Yıldız University, Istanbul. The Professor gave an account of his most recent excursion, just a couple of months ago, to Old Turkic and Uyghur inscriptions in Mongolia from the 7th – 9th centuries. Together with his research companion and a local driver he had travelled about 2000 kilometers across the steppe landscape of central and southeastern Mongolia searching for less accessible and thus less known monuments. Two of these were Küli Čor and Moyun Čor to the south of Ulaanbaatar, in the basin of the Orkhon and Tuul rivers. Sharing with us some of the photos taken during their journey, Professor Ölmez made us realize the significance of external data, among them the nature and history of the site, for the identification and interpretation of these inscriptions. Küli Čor (Ikh-Khüshöt; first quarter of the 8th cent.) Photo: Mehmet Ölmez. Moyun Čor (Šine-Usu; mid-9th cent.) Photo: Mehmet Ölmez. This year’s Gunnar Jarring Lecture, arranged by the Swedish Research Institute in Istanbul, will be held on 12 October, at 7 p.m. Welcome all to an exciting account of an expedition to the oldest inscriptions in a Turkic language known to mankind.